Yeah, snow in Israel. I know that sound totally oxy-moronic. People are supposed to be like flash-fried here whenever they stand outside for too long, not frozen into ice lollies! Even though I was freezing I must say that I feel a bit vindicated. I told you this is a wet and extremely cold winter this year. And you all thought I am just this old expat from Africa that cannot handle a temperature drop below 10 degrees Celsius (50 degrees Fahrenheit for my lovely readers from the US). 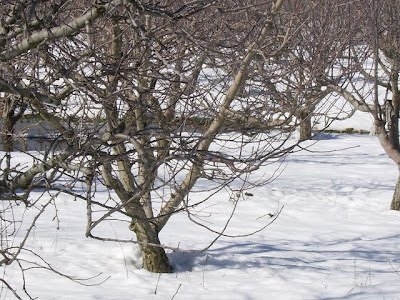 Other Israelis actually also blogged about the fact that it SNOWED this year! 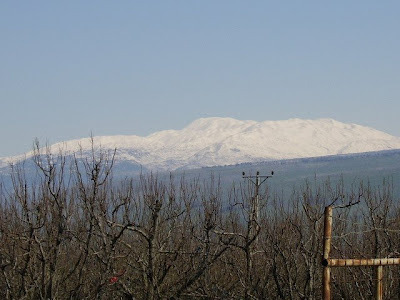 Mount Hermon, the highest mountain in the Golan Heights has however been covered with snow for the last two months. And of us course Israelis are so EXCITED to see snow that we take a day off to go and show our kids what snow looks like! During weekends all the roads to the Golan Heights are either packed with traffic or closed because it is snowing. Much better idea to take them out of school for one day. I mean it is not everyday that you get to see snow in Israel! 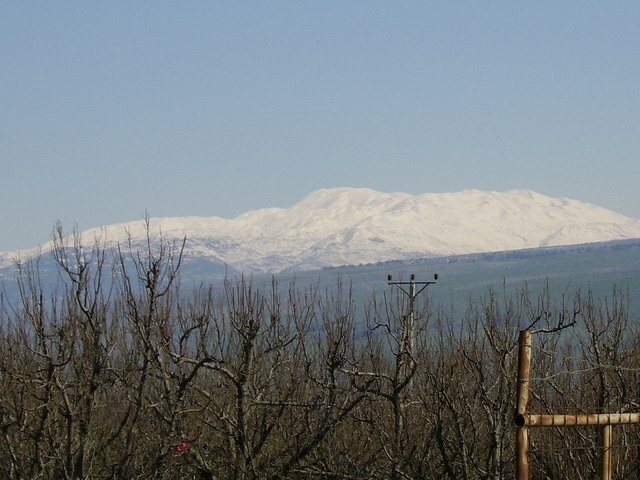 You can see the snow-covered Mount Hermon from far away. 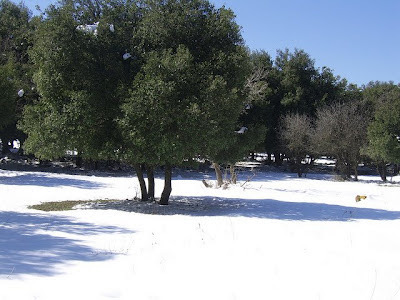 A small forest in the Golan Heights where my kids and I played in the snow.